Despite all the things I’ve done online, this one is a first for me for sure, but one that I’m extremely excited about. Back in February, I got together with a couple of editor friends and we got it in our heads that we could–while still working full-time, crazy, right?–start a professional organization. 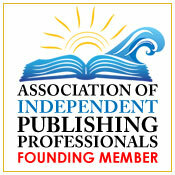 It’s been an insane month, but we’re just about ready to launch next month, and so I’m very pleased to announce that on April 1 (provided I don’t blow stuff up), the Association of Independent Publishing Professionals (AIPP for short) will open its doors to general membership. 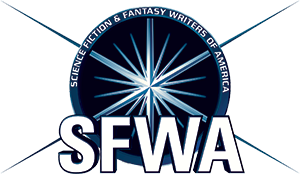 Now, some of my author friends and clients may look at the name and think that means authors–it does not. Not trying to be all exclusive or anything, but this association is for people like me. People who freelance for indie authors and small presses. We started off wanting to make an editors’ organization, but with the way self-publishing has continued to grow, we soon realized that there were so many other service providers that needed a home as well. Two years ago, I never would have thought I’d be doing this, but I have high hopes for what we indie freelancers can do for each other. Starting out on my own after a decade in an administrative career was terrifying, and with the exception of a couple of people to talk to via email, I felt very much alone. My hope is that we’ll be a place to make other freelancers feel like they have support. People to talk to who know the ups and downs we go through. Whether people want to share a glowing testimonial or need a shoulder to cry on, we want to be a community that tells people that we’re here too. And they don’t have to do it alone.